It’s no secret in Silicon Valley that the HBO series “Game of Thrones” is a big favorite among the geek set — including Facebook CEO and co-founder Mark Zuckerberg — what with its dungeons-and-dragons tone and fur-and-leather outfits. Which is why Time Warner’s premium cable network decided to do one of its three red-carpet premieres for the third season of the hit fantasy show with a splashy event on Wednesday in San Francisco that will be teeming with digerati. “We all thought it would be fun for the creators and the cast to come here and feel the enormous enthusiasm this community and our partners have for ‘Thrones,'” said HBO CEO Richard Plepler. 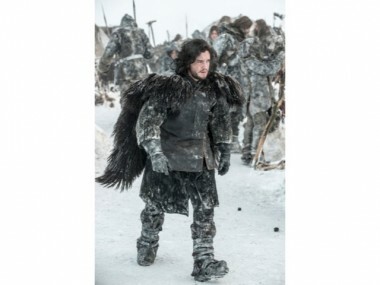 Eight cast members of “Thrones” will be attending, as will Plepler, HBO COO Eric Kessler, creators David Benioff and D.B. Weiss and … drumroll … author George R.R. Martin. No surprise — there is much swordplay in the epic. And that’s where AllThingsD comes in, since Walt Mossberg and I will be doing an onstage Q&A with Martin, Benioff and Weiss right after the first show of the new season is aired. It’s on, or, as Martin wrote: “When you play the game of thrones, it’s either you win or you die.” Or enjoy a lovely party after.